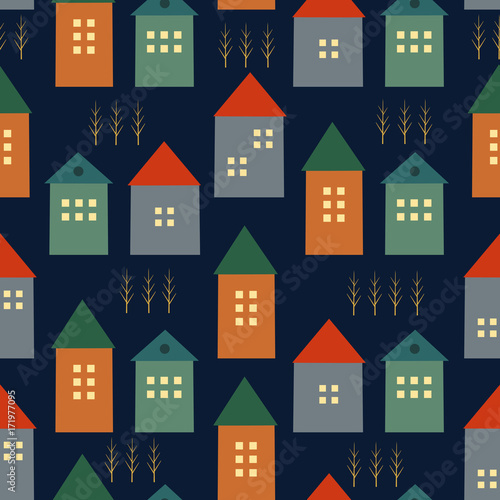 Cute houses and autumn trees seamless pattern on dark blue background. Scandinavian style illustration. Autumn landscape design for textile, wallpaper, fabric.